Software is compatible with all Windows OS like win 10, 8,7 etc. 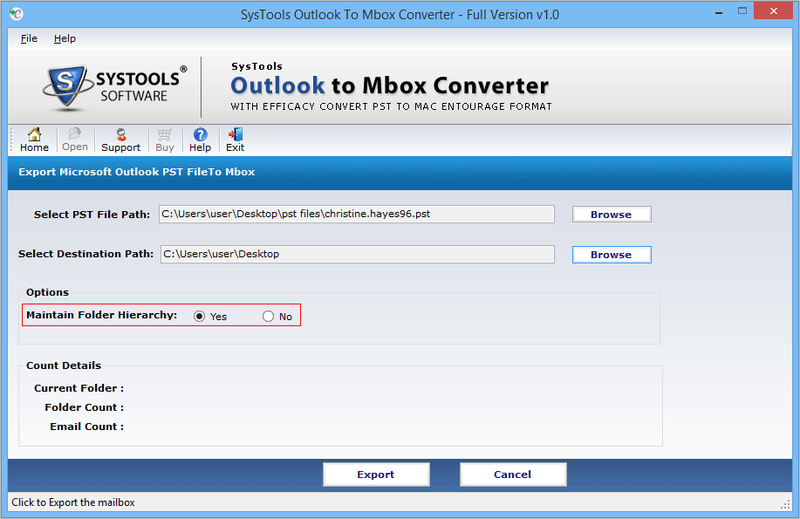 The .pst to .mbox converter software is an efficient tool that can convert entire mailbox contents from Outlook. 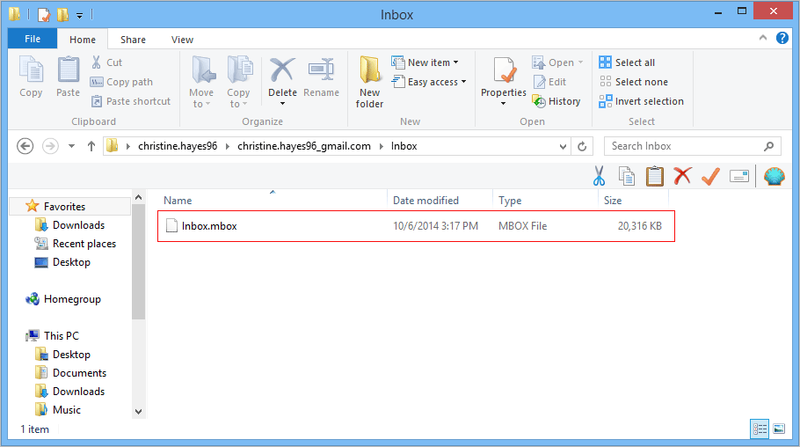 All emails saved on Outlook PST file are moved to a MBOX format. A single .mbox file is created for every PST file uploaded into the software. The tool can export entire folders like Inbox, sent items, drafts, etc. to MBOX file format. 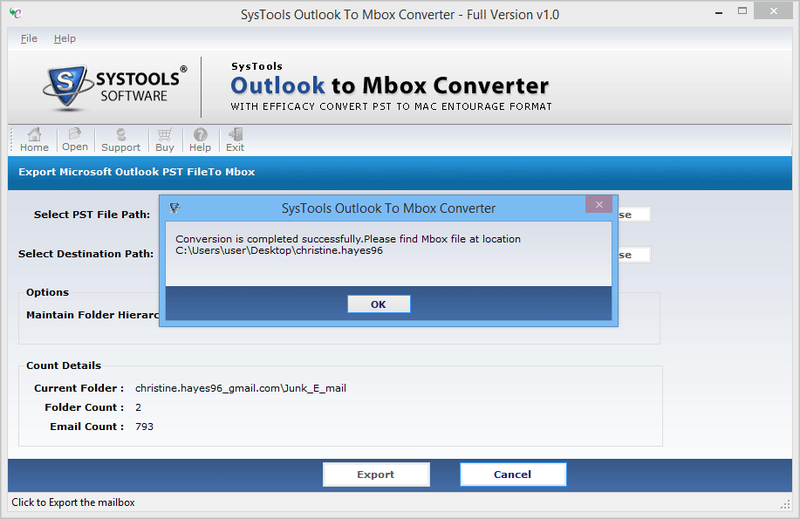 The Outlook PST to MBOX Converter tool displays the exact live report. Details of all the files being transferred during the export process are shown. Information like the name of the folder being converted, folder number, and the number of emails transferred from that folder. All this is present in front of the user to monitor the progress of the transition. The best option provided by the conversion algorithm is that it has the option of savoring the folder hierarchy. All the emails are in the same folder in the output .mbox file as they were in Outlook mailbox. 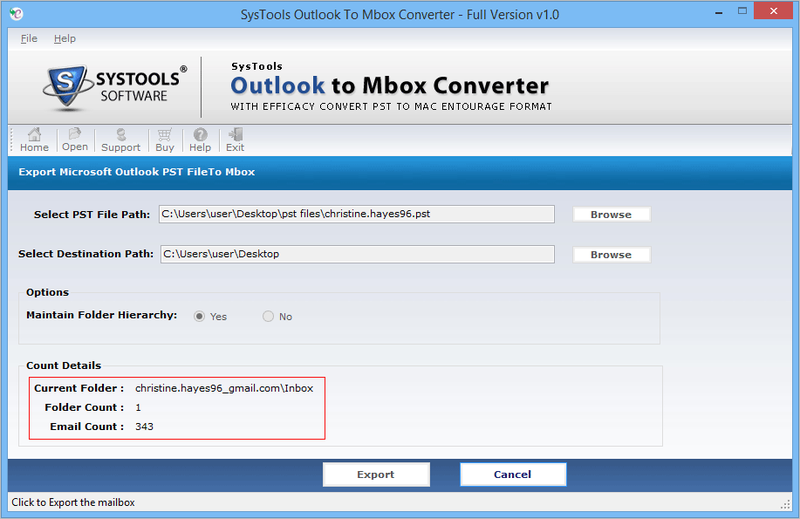 There are no changes made by outlook 2010 to mbox exporter tool in email files even after the export process is completed. All one has to select the option before migration. The Outlook to MBOX migration tool is a very proficient and relevant tool that maintains data integrity for the output file. All the email properties like header information and email formatting are the same even after the conversion. The email header contains important data like ‘to’, ‘from’ details, cc, bcc, server information etc. The export tool has been properly built for every type of customer. Even a person with not much technical knowledge can use this tool easily. The entire conversion process happens in a single panel with just a few steps. The software interface is very user-friendly and can convert Outlook email to MBOX format with just a few clicks. 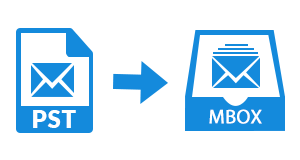 The Outlook file to MBOX export tool can convert PST files to MBOX format easily. The output .mbox file can be used in many different email clients. The file can be simply saved to any folder location of user’s machine. Then it can be uploaded by any of the email applications like Thunderbird, Apple Mail, Eudora, etc. There will be no compatibility issue. Is Outlook installation required to convert Outlook PST file to Thunderbird format? Yes, Outlook installation is a must for this conversion algorithm to work. Is Thunderbird Required to perform migration of Outlook PST mailbox emails to .mbx file? No, Thunderbird or any other email client that requires the output .mbox file is needed to perform the conversion. Can the migration software perform batch transfer for multiple PST files? No, the PST to Thunderbird converter tool does not support bulk migration of multiple PST files. Only single PST file can be migrated to MBOX format at a time. What is the maximum PST file size limit that can be uploaded into the converter software? There is no size limit to the PST file that can be scanned into the conversion tool. Can other mailbox items like contacts, calendar, notes, etc also get transferred using the Outlook to Thunderbird converter? No, the export tool only works with emails. No contacts, calendars, notes can be converted using the tool. Is there a way to recover and export a corrupted PST file using this tool? No, the converter tool does not support export of corrupted files. Firstly, open the exporter tool by launching it from its default location in C:/Program Files. 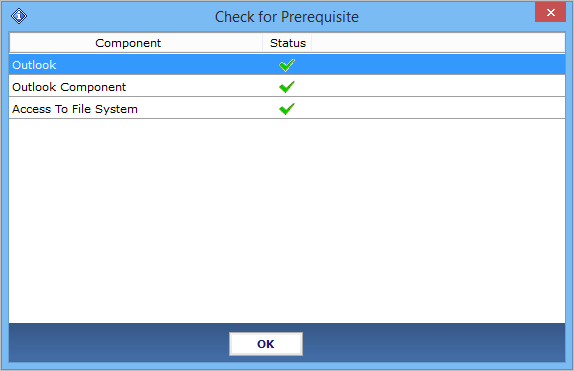 A box will appear checking for prerequisites installed on the system. Next, click on Open to start the Outlook to MBOX conversion. Now, Browse to the folder location where the .pst file is saved. Then, a file explorer window will appear. 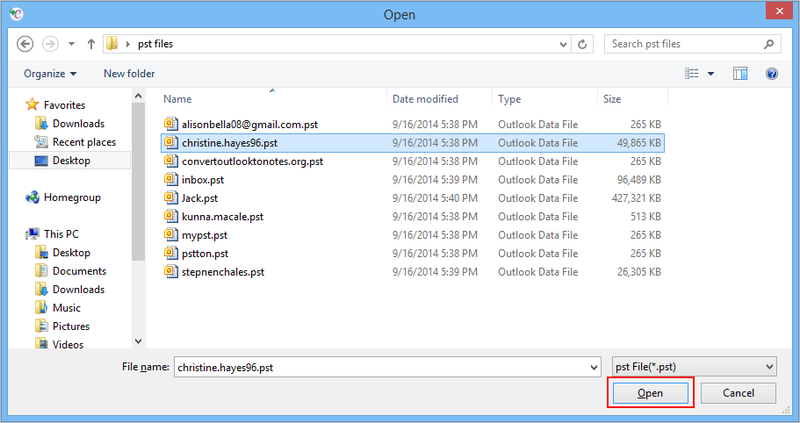 Go to the folder path where the Outlook PST file is saved. Again, click on Browse button for the Select Destination Path. Set the destination folder location where the output .mbox file will be saved. Now, a list of folders on a user’s computer will be displayed in the manner shown in the image below. Select the folder path to move to the next step by clicking on OK.
Next, there will be an option for Maintain Folder Hierarchy. Select ‘Yes’ to have the emails converted in the same folders as they were in Outlook. Click ‘No’ if moving only selected files or have time limitations. This will fasten the conversion process but email folder locations might differ in the output .mbox file. Having done that, click on Export button. This will start the export process to transfer PST file to MBOX format. Now, a live progress report will be displayed in front of the user. One can clearly view the folder count, the name of the folder being converted and the number of emails transferred. After the migration process completes, a confirmation box will pop-up. This will show the folder path where the resultant MBOX file is saved. This path should be same as the one set in step 5. Finally, verify that the export process is complete by going to the folder path indicated. "I am very grateful for this product. My team and I were looking for something similar for a very long. We came across this Outlook to Thunderbird converter and instantly liked it. It converts only emails and takes much less time compared to other products in the market. We tried the free version and now have bought the professional one for our team. Thanx!" "It is much easier to use and understand with everything happening under the same window. My company has moved all their outlook email to Thunderbird. Most of my old conversations were in Outlook. I was able to convert those files and view them in Thunderbird. 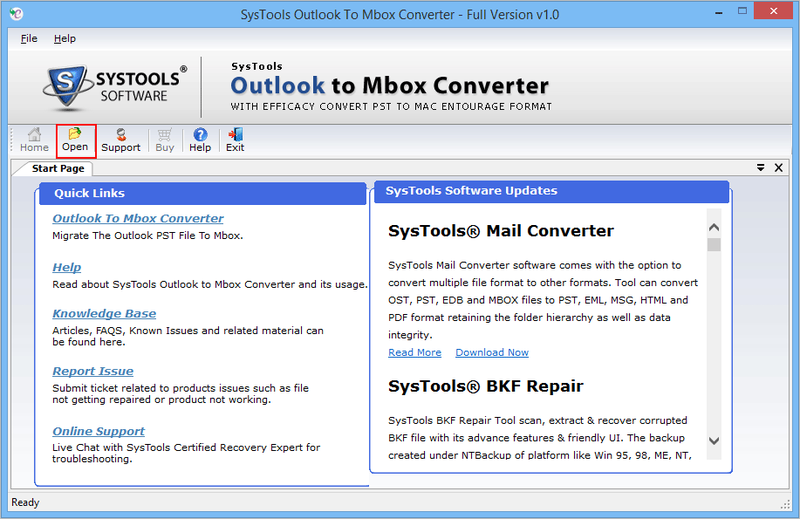 I tried SoftwarePro Outlook to MBOX Converter Software and easily migrated to thunderbird. Thanks a lot to software development team!!" The software is designed by keeping in mind each and every requirements of users. There are two options to transfer files from PST file to MBOX on Mac OS machine. It provides 2 modes: Add File & Add Folder. With PST to MBOX Converter for Mac, users can easily export PST file to MBOX in batch. This utlity is efficient in migrating entire mailbox from Outlook to Apple mail with unmarred folders and their associated attributes. Microsoft Outlook to Mac Mail Converter for Mac provides user, option to migrate Outlook PST emails to MBOX format. Users can use this functionality to extract Outlook PST mails to MBOX according to the specified date range. Add Date Filter by specifying the "From" i.e. beginning date and "To" i.e. end date. By default, software will save all emails by their subjects. But, by using PST to MBOX Converter, users can change the naming pattern and and select any desired naming convention. This utility offers many naming convention for the convenience of users. During the migration process of file from PST format to MBOX on Mac, the folder structure of the Outlook email remains intact. Another impressive feature of the tool is to create single folder for all the mails stored in the Mac machine. 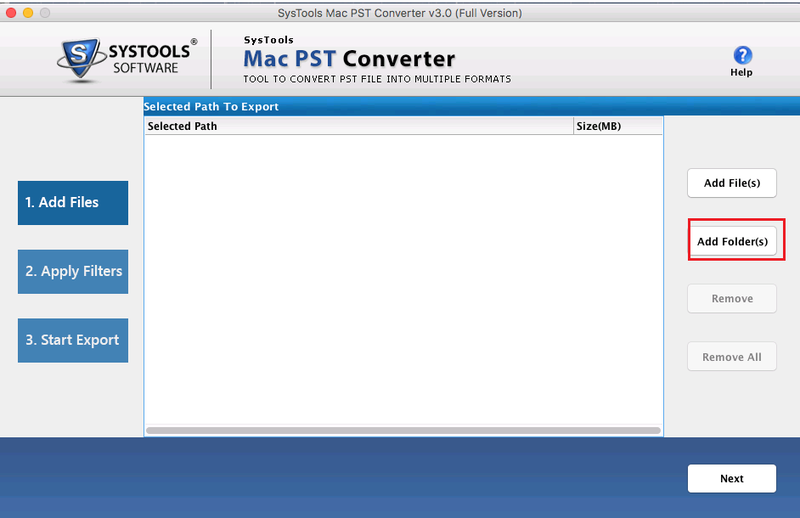 The PST to MBOX Converter on Mac is intelligently designed to support Mac OS X 10.8 and all above versions. These editions are - Mac OS 10.8 (Mountain Lion), 10.9 (Mavericks), Mac OS 10.10 (Yosemite), 10.11 (El Capitan),10.12 (Sierra), 10.13 (High Sierra). Do the software works on the latest version of Mac OS? Yes, the Outlook to Apple Mail Exporter tool can operates on all the versions of Mac OS X. Would it be possible to convert multiple PST to MBOX format using this Converter? Yes, this utility supports multiple file conversion or users just simply add the complete folder to the tool. Does this software impose any type of limitations on file size? No, there is no limitation on the file size while migrating Outlook emails to MBOX file format. Does this tool have any kind of filters according to date? Yes, the software has date based filter which can be used to extract selected emails based on particular date. After enabling this option the Microsoft Outlook to MBOX exporter tool will include on those emails which lies in between the specified date range. Can this utility maintain the folder hierarchy in the reultant file? Yes, the folder hierarchy will remain same as it was in the Outlook PST file. 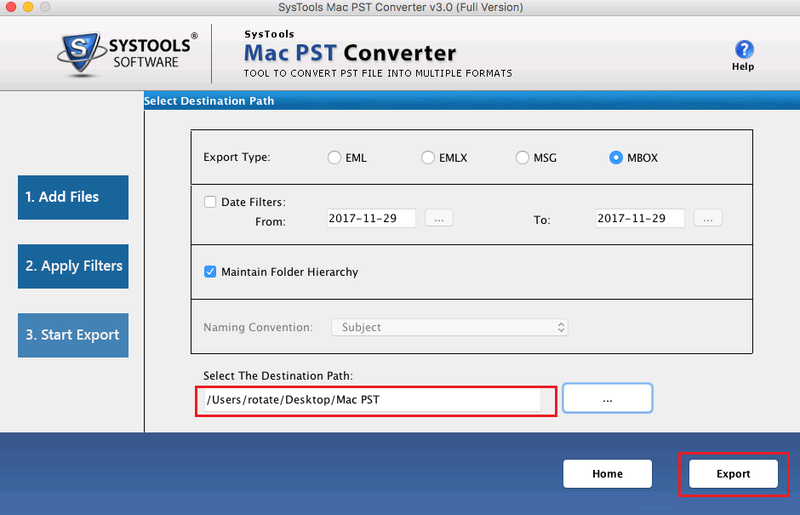 Can this PST to MBOX Converter for Mac migrates highly coruptted PST Files? Yes, the software supports conversion of highly corrupted Outlook PST file in MBOX format on Mac OS. 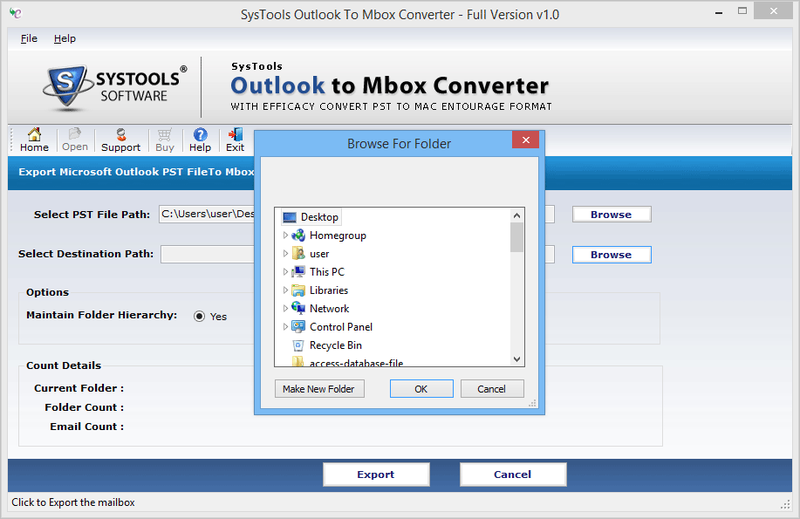 Launch the Outlook to MBOX exporter software. Now, click on the “Add File(s)” option to add the PST files. Navigate and select the file on the system.You can also select the complete folder on the system to add the PST files in bulk. 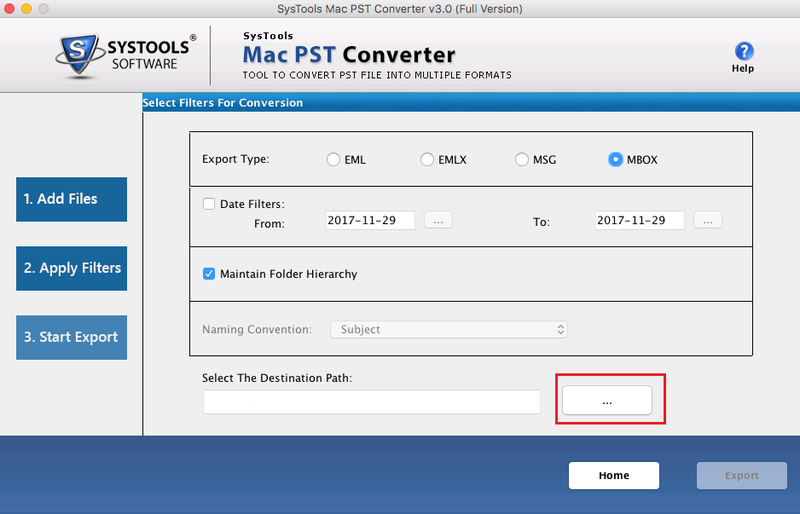 Import complete folder to PST to MBOX Converter tool. Click on Next button. Date filter: This is the filter that can be used to filter out the final files as per the date filter. Maintain Folder Hierarchy: The folder structure of the resultant MBOX files is kept intact. Click on "Choose" button. Navigate and select the location for the exported MBOX files. Click on the "Export" button to start the Microsoft Outlook Emails to MBOX conversion process. "How to import PST file to MBOX on Mac Operating System was my biggest concern. But, this software has solved my problem in a very convenient way. This is the most convenient utility to export PST as MBOX." "The support team is awesome. These guys helped me in every aspects of conversion process. The tool is just amazing, the main attraction is its execution speed. 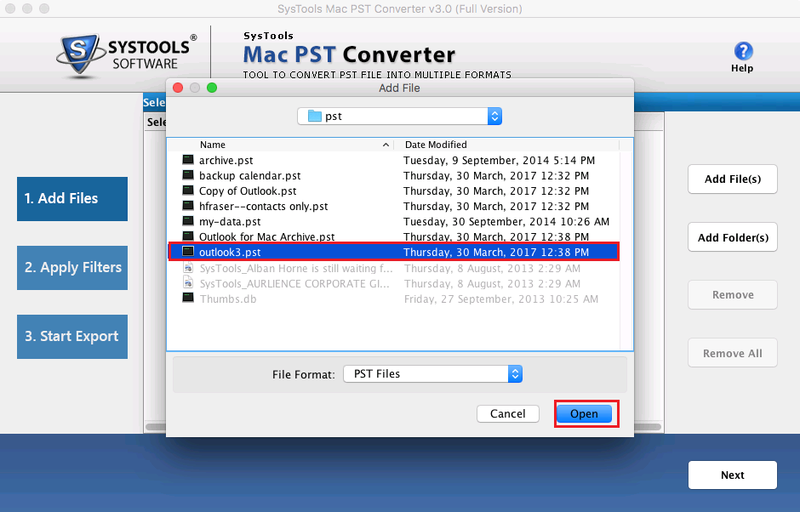 It will genuinely takes only few seconds to convert PST to MBOX on Mac machine."